Give “guesstimates” for a potential project both large and small. Create scope of work with definitions of each subcontractor’s responsibility. Create custom computer generated timeline schedules with specific goals that can be monitored and updated weekly throughout the project. WJK can provide a list of quality contractors. Evaluate architectural and engineering plans to ensure that your needs and requirements for the project are met. Review project estimates and bid submissions, saving you considerable time and money. Coordinate with city and/or county planning and permit approval processes with expert guidance about city and town planning procedures. Assistance with homeowners insurance claims If you are dealing with an insurance claim, WJK will help you navigate the process of filing and receiving the maximum benefits from your policy. Facilitate contractor and sub-contractor selection as necessary and coordinate responsibilities for each. Review contracts to ensure the appropriate terms and conditions are established and met regarding payments, insurance coverages, lien process, final payment and warranties. Perform on-site inspections to ensure that all work is being done to specifications and plans while being on time and on budget. Review cost and schedule reports to identify cost overruns and project delays. Evaluate and verifies change orders, analyzing the cost components associated with various change orders. Furnish litigation support, protecting your rights and interests. Perform expert witness testimony for resolving construction-related claims. 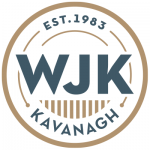 WJ Kavanvagh Consulting and Management provides detailed reporting and scheduling. There is nothing worse than not knowing how long or short things take to get to completion. We take the guesswork out of the equation. Stay up to date with weekly, bi-weekly and monthly reporting. We will customize the reports based on your individual needs. 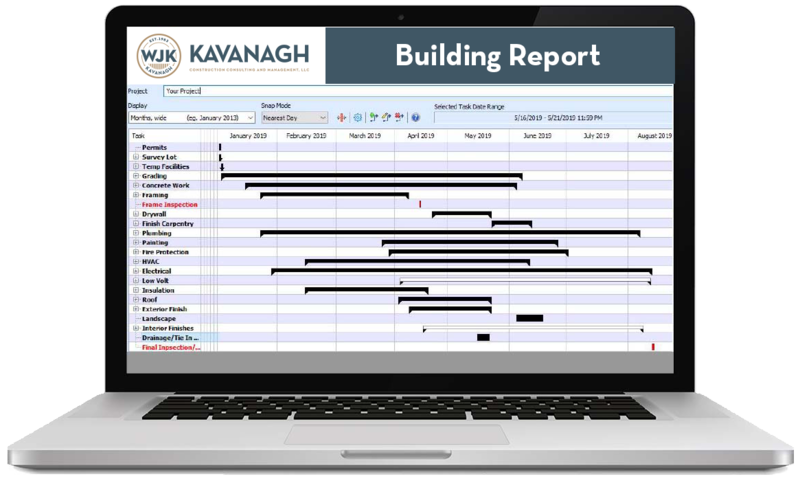 Kavanagh is here to help with any owner builder project?